It feels like yesterday when I was a brand new PR Student attending CPRS events in Calgary and trying to network! I can remember how incredibly awkward I felt balancing a wine glass and an appi while trying to shake hands………that is why I loved seeing so many students at our Fall Mixer! Your world of Public Relations is about to explode and the awkwardness will subside – I promise! It was a beautiful evening to kick off our plans for CPRS Edmonton 2016!!! For me personally, I loved connecting with old friends and colleagues, meeting new people and most importantly, seeing the students that are just beginning in the PR world! Quality: We want to provide quality events to our members. Events that offer both professional insights and strategies for the most senior practitioner and of course for brand new communicators. Our drivers will be quality and raising the bar! Supportive: We want to be supportive and offer an environment that everyone can feel comfortable in! 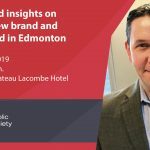 We want people who are looking for their next gig or PR Practitioners who are new to Edmonton, feel like they can reach out and be a part of the community. Professional: We want to showcase the professionalism of our industry and adhere to the ethics and guidelines that we live and breathe every day as communicators. Are there any values you think we missed? We would love to hear from you as we move forward to a great year of quality, supportive and professional opportunities that continue to build this incredible PR Community we have in Edmonton!